If the Market you are interested in is not listed here, contact us and we might be able to add one. All online payments are charged in USD. For NON-USD cards, there might be a finance charge charged by your bank. For NON-USD currencies, Prices displayed in converted currencies are estimates only, based on currency exchange rates published by FX Exchange Rate, updated daily. The subscription starting from 4-2019 will continue on a YEARLY basis till you cancel it explicitly by sending us an email. The membership will continue on a MONTHLY basis till you cancel it explicitly by sending us an email. If you are not satisfied with our ISP, we will refund you the entire amount for that month (No Questions Asked). You are welcome to give us a feedback and we will work hard to improve our services. Safe and Secure Credit Card payments are processed by Stripe. We do not store or see your credit card data. Your security is important to us. We encrypt your payment and personal information when sending it over the Internet to Stripe. If you want to use our platform and website to publish your press releases, please sign up for the PR Services. PR Services helps you publish your articles and news related to your company or your client on our website. There are monthly articles upload limit based on the membership level. 1. 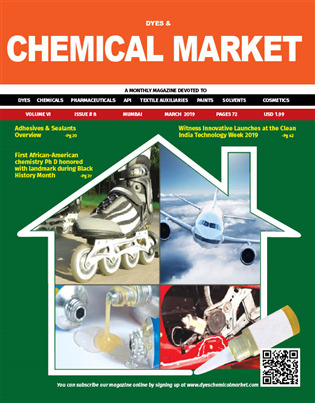 Your news stories, press releases will be published on the articles and press release section of our portal. 2. Based on our editors descretion and approval, it may also be published in our monthly magazine. 3. The articles can be shared on our social media pages like Facebook, Twitter, Google Plus and LinkedIn to get you more exposure to your stories/press releases. 4. We also send newsletters from time to time, (usually once/twice a month), we will add your news stories, articles linking to our website in the newsletter. 4. You have full control of the articles/press releases (compose using Rich-Text-Editor with pictures uploading functionality) which you can preview before getting approved by our editors. Partner with us for your events! If you want to be our event partner (or you want us to be your media partners), please feel free to sign up and select Event Partner as member type. 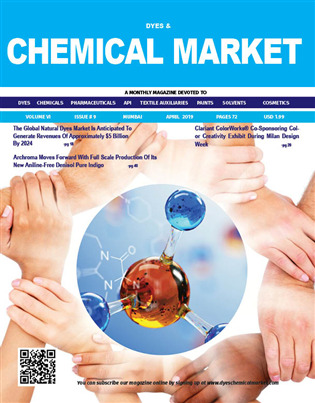 We are currently media partners for ChemSpec India, SpeChem China, Chem Show Eurasia, Turkey and many more. We are constantly working together with the organizers to make sure they have a phenomenal success in this industry! Publish in Print and Online Publication your event details in the Events and Conferences Section. See our events calendar online. We also send newsletters from time to time, (usually once/twice a month), we will add your event banners to the newsletters which goes to all our online members, advertisers, subscribers and partners. If you have any articles/event pictures to be published we will do that before or after the events as long as it is agreed upon by our editors. Send invitation to all our members and if you provide us with content for newsletter we will accept that as well. All credit cards transactions will be in selected currency. Adding Credit card is mandatory to verify the user is real even if the Cost is 0.00. You do not have any credit cards on file. Please add a new credit card. If you are not satisfied with our service, we will refund you the entire amount for that month (No Questions Asked). You are welcome to give us a feedback and we will work hard to imporve our services. Safe and Secure Credit Card payments are processed by Stripe. We do not store or see your credit card data. Thank you for choosing to upgrade. We have send you a confirmation email. We will upgrade your membership on Dyes & Chemical Market in the next few hours and send you another email to let you know. 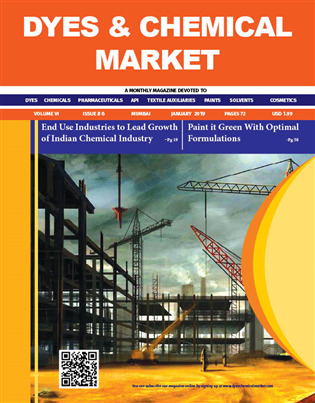 Thank you for subscribing to online/digital copy of Dyes & Chemical Market. We have send you a confirmation email. 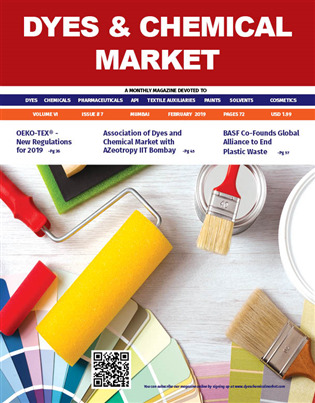 We will upgrade your subscription to Dyes & Chemical Market in the next few hours and send you another email to let you know. You have already used this coupon code once. Please contact us on [email protected] if you have any questions.